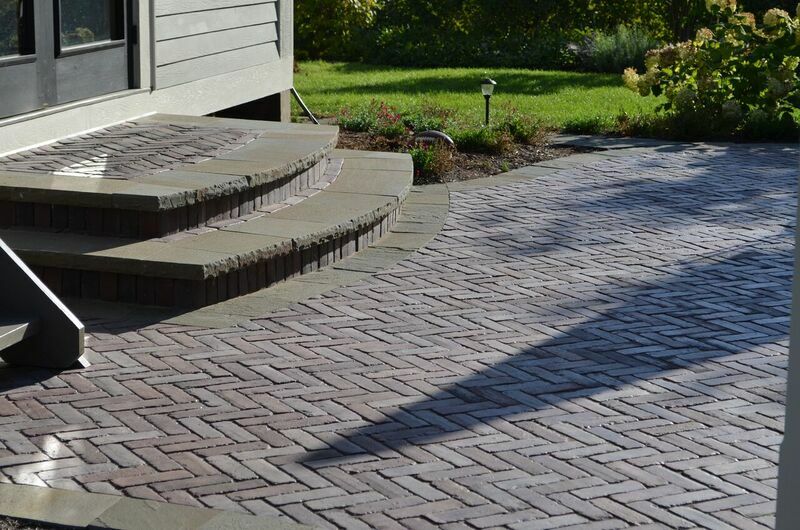 Why Choose Paved Concrete Landscape Steps Over Block or Stone? Outdoor landscaping steps should be durable and visually appealing. While you may prefer the look of brick or stone, landscape block or stone steps aren’t the best choice when it comes to durability, maintenance, and flexibility in landscape design. 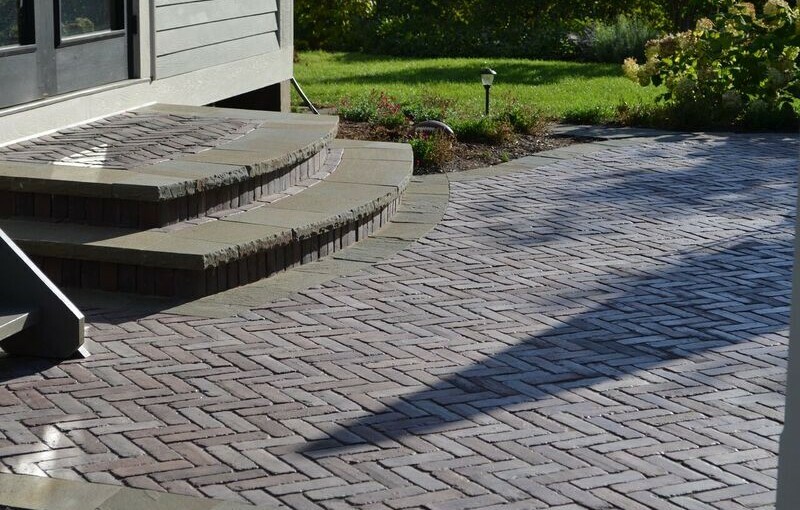 The good news is that a brick or stone finish can be added to concrete steps to offer both durability and aesthetics. Concrete can be formed in endless shapes — curved, bowed, circular, and straight. Which, from a landscape design standpoint, offers a great deal of added flexibility. Another benefit of choosing poured concrete landscape steps over landscape block or stone slabs pertains to the riser and treads of the steps. The riser and treads of the steps can be adapted to suit the yard grade and building conditions. Strength and long-term maintenance of poured concrete landscape steps are the biggest benefits. When a stoop, flight of steps, or porch is constructed from concrete; you can avoid issues such as heaving, settlement, shifting or breakage — provided that you use the proper steel reinforcement and footing or pier work. Important tip to remember: When adding concrete steps to your landscaping, you want to be sure to protect the framing or finish of your home with a quality waterproofing membrane and aluminum flashing. Before the concrete is poured, apply an adhesive backed rubber-based waterproofing membrane to the exterior of the home. This membrane should be cut so that it’s a half inch or so larger than the brick or stone finish. The extra half of an inch will prevent moisture from getting behind the membrane. In addition to the waterproofing membrane, you’ll want to install aluminum flashing as a second step of protection. The flashing will protect the membrane from being punctured or cut, and hide the waterproofing membrane. Need advice on how to beautifully integrate steps into your overall landscape design? Call us today for a free, no obligation consultation at 630-932-8966 or fill out our online contact form.